With design and construction completed in a mere nine months, the Action Sports Park has western North Carolina skaters and bikers saying, “gnarly” and “sick.” Prior to its opening, some local enthusiasts were making weekend trips as far as Atlanta, Georgia and Nashville, Tennessee for their skate sessions. Now this destination park will be drawing a crowd from those regions and more. 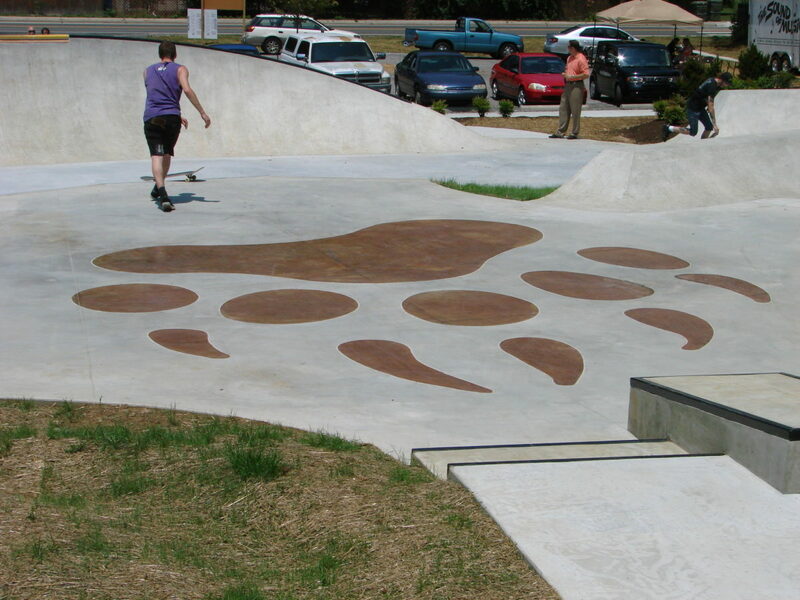 After working with the Eastern Band of Cherokee Indians on site selection, Stewart initiated the design phase with a public involved design charrette in which we included the skating and biking community to share their ideas and enthusiasm in the development of the custom designed park. 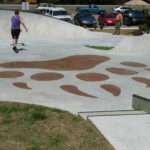 The park includes over 12,000 square feet of cast-in-place concrete with skateable elements that are terraced along the base of the mountain. The park, with the mountains as its backdrop, incorporates both urban elements such as stairs and rails as well as a backyard pool with real tile and edge coping. The park also has a mid-bowl with long flow lines, quarter pipes, piers, a bank carved into the mountain, and local stone used for retaining and feature walls. In addition, features of the park represent the cultural history of the Eastern Band of Cherokee Indians, which is the park’s signature. The park is also designed so that both skaters and bikers can use the facility at the same time. Also involved in the project was Tempe, Arizona-based firm Pillar Design Studios, LLC. The firm has completed various skate park projects including, but not limited to, Tony Hawk’s private backyard park and Rob Dyrdek / DC Shoe’s Skate Plaza.